The StitcherAds team is excited to announce the release of its pacing dashboard within the StitcherAds platform – allowing marketers to better predict projected spend on Facebook and Instagram. This new view within the StitcherAds platform is designed to help you make intelligent optimizations to accurately hit your goals and budgets. 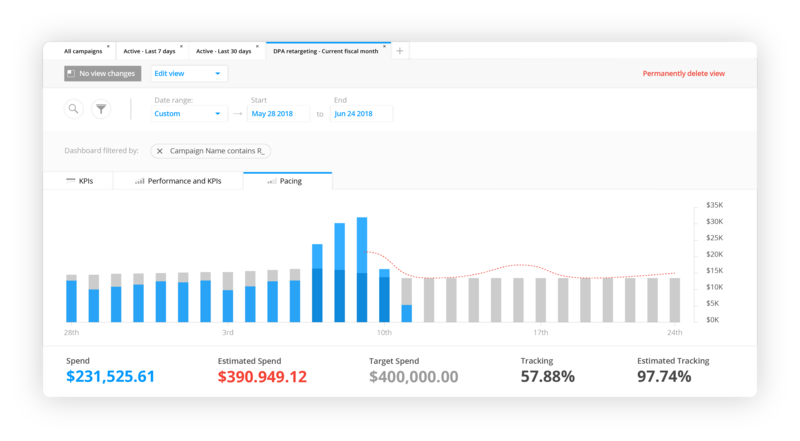 With this tool, you can visualize recent spend and work against a forecast of how your campaigns will spend in the future. StitcherAds calculates its projection by analyzing spend-to-date, shifts in budget, and weekly trends. The graph breaks down target spend per day and actual spend. 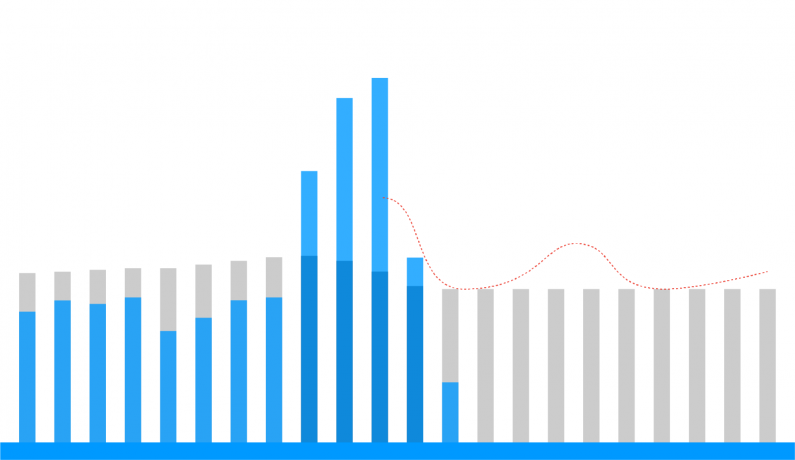 The shadowed bars denote target spend per day and the solid blue bars denote actual spend. The dotted line is the predicted spend based on our forecasting calculation. Under the graph, you’ll find higher-level figures. The tracking percentage is your current progress toward reaching your overall target spend, i.e. Spend / Target. The estimated tracking percentage is the percentage of your target spend our model predicts you will have spent by the end of the timeframe, i.e. Estimated Spend / Target. You can hover over an individual day on the graph to see these numbers on a daily level. How can this new pacing tool help you inform your strategy? Hit your budgets and avoid both overspending and underspending. By seeing how far the Estimated Tracking percentage is from 100%, you can get a direct guide into how you should adjust your budgets to better pace to reach your target. Optimize your campaigns for better performance. Your spend forecast can provide valuable insight into weekly and “day of week” trends to better align with your campaign strategies. Save time. This visualization and resulting action items can replace complex and time-consuming manual calculations (typically done in spreadsheets). The pacing tool is just one of the updates recently made to the StitcherAds platform. Users can now build views that align with specific reports they’d like to create and save them for future use. Any view created—including pacing—will be visible to anyone within their organization. 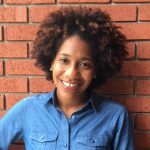 Want to learn how StitcherAds can help you optimize against your goals to deliver the highest ROI? Hit us up! We’d love to chat.